When rebuilding your front end, one of the most important parts to remember are the ball joints. 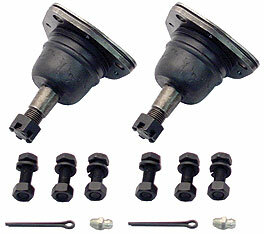 New ball joints help eliminate free play in steering and can reduce premature tire wear. Includes all mounting hardware and dustboots.